The antiques circuit is essentially the only source other than auctions for non fountain pen collectables. The Antiques for everyone show at the NEC Birmingham is no more than 200 stands but is still well worth a visit, however regional antique fairs such as Peterborough, Harrogate, Builth and Malvern continually have resident writing equipment vendors such as Digby antiques, The Wilsons and Nick and Jenny Banks. Portobello is changing and there is less space for antique stands as modern shops are replacing the old warrens of basements and corner shops; there are really three vendors of interest to our members, Fletcher Wallis, John McKenzie and Henry Simpole. It is still the best place for atmosphere in London and fun to search and learn but more and more collector attention is being given to Website options. For non-fountain pen items, our advertisers Steppes Hill Farm antiques and Arian Antiques are good examples of these and well worth a regular check to see what is new! 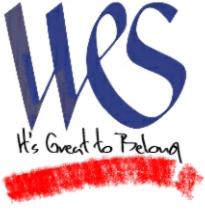 Not only that they also advertise WES for us- these sites are part of our network!. Other sites selling pens also advertise the WES logo and there are offers of 10% reductions on many of these for bona fide (paid up) WES members- Check these offers out on all items over £20 on www.vintagefountainpensinc.com and other sites advertised in the Journal. Ebay has it’s following and a few keywords will bring up flikmywick, shoutysam, digerlee, insanityrules, stubbsywubbsy and ………a few thousand other! Alan Cole gives me optimism for this year, as their blog has developed well, but we are all waiting for The Virtual Museum of Writing. The initial introduction is now completed and has been checked for exposure to the public. It has encountered irritating funding and organizational difficulties- but it has now been tested and is undergoing a final check before exposure in April. We will then be able to browse and interact with the Museum aided by the starting range of over 1500 items. The use of personal networks and communication is now part of our lives and we cannot ignore it. If we are to influence the younger generations then we have to embrace such media of blogs, instagrams, what’s app, twitter and facebook. How we should progress is important and we would like members reactions to this. Not all are “technophobic”, nor “computo-terrified” but most of us are more comfortable with a magazine and a book. The potential of this communication route is difficult to comprehend but, we have to accept that such changes are here to stay and our grandchildren will have to be our tutors. will be on the web site. It is interesting that accessories are so important and this is illustrated by the Books,Desk and Tool page in the FPH catalogue with the iconic Zagory pen rest and other desk furniture plus basic tools for repairing. Europe – starts on February 20th in Paris and Milan then Cologne, Florence, Barcelona in March; Letitia Jacopini and Tom Westerich are trying to promote a 2 day Rome show this year (May). Don’t forget Katowice (Poland) in April as an interesting option. USA – change is now obvious regionally - Chicago has now faded from the major scene with the illness of Don Lavin and Dan Zazove’s retirement – it is now a 1 day show and more like a local club meet. San Francisco and Dallas are now regarded as major shows behind LA, DC and Columbus. There is a healthy activity in local clubs; I keep in touch with the Tucson Arizona meetings and they are getting 20 plus attendees regularly. If you are on holiday in the USA do look at the list of regional clubs which is given in Pennant –there may be meeting and you will be welcomed!